For the benefit of anyone not aware yet, Dave Henderson, a beloved man, husband, father, grandfather, friend, and elder at Hope Community Church passed away suddenly at his home Monday, June 20th. Please pray for Sharon, his wife of 44 years, and the rest of the Henderson family as we mourn this loss together. Funeral arrangements are being made and will be communicated as soon as they are finalized. Also, we will be postponing our Mortgage Note Burning Celebration that was scheduled for this Sunday, June 26th, to a date to be determined. In the mean time, pray also that God makes us faithful in obedience to His words through Paul to the Romans: “rejoice with those who rejoice, and weep with those who weep” and may the Gospel of Christ allow us to bear that tension and be vessels of His compassion for Dave’s family. Make it so, in and through us, Lord. Amen. 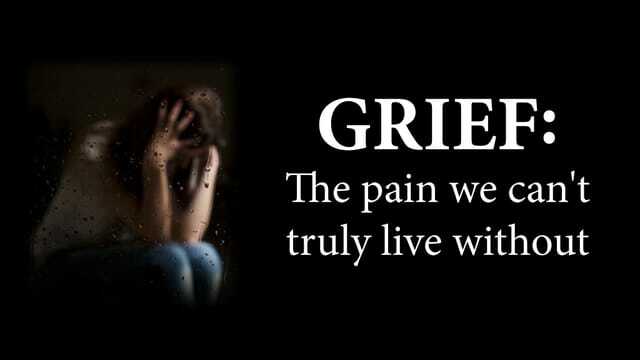 Grief is deep sadness, trouble or annoyance. Grief is perhaps the most unwanted of all human experiences. "One who claims to be a skeptic of one set of beliefs is actually a true believer in another set of beliefs." Although Christians cannot fill in all the gaps, we believe we have far less of them than atheists. Christians grieve not merely looking back at what once was, but forward to what will be.